Prudence: wisdom, foresight, and practical judgment. It’s important to study this virtue first because wisdom and foresight dictate the steps that we take or the ones that we don’t. We can study the Bible until we know it backwards and forwards, but if we don’t have prudence we won’t use the Word wisely. A good example of prudence is found in the story of Esther. She knew what needed to be done for her people, but instead of rushing in, she stepped forward wisely. She petitioned her people to fast and to pray before approaching the king. Ruth counted the cost when she left everything behind to follow Naomi, and stepped forward wisely to win the heart of Boaz, her kinsman redeemer. She’s truly an example of wisdom, and prudence, and strength. The winds of doctrine are strong, and unfortunately some people are tossed back and forth, never really grasping what their faith means to them and what the Word of God has to say. I urge you to prayerfully ask God for wisdom. Ask Him to shine light on His Word and to open up your mind to a deeper understanding of His will for Your life. Esther teaches me to be courageous and to step forward wisely. Her situation wasn’t merely a difficult one, it was punishable by death, but she followed God’s will and exercised virtue, which let to the delivery of the Jews from pending death. First and foremost, she takes time to fast, and although it’s not said, one assumes she prayed. She asked her people to fast likewise. Wisdom should always be exercised in difficult situations. It goes hand in hand with every virtue. And so it’s important to be in prayer and to study God’s word so that we’re acting on His wisdom, and His alone. The story of kinsman redemption found in the book of Ruth is symbolic to our relationship with Christ, and God’s redeeming love. It’s exciting to see just how much symbolism is used in this chapter. Wow! In verse three Naomi instructs Ruth to wash herself, anoint herself, and put on her raiment. These are the three things that we as Christians put on in a sense, as we prepare and wait for the return of our Lord. Washing with water by the word is a continual process of purification. As we follow God’s commandments we’re set apart from the world and conformed to His will. It’s virtue built upon faith as we allow God to change us and keep us from sin. Anoint means to smear, rub or smooth on. In Biblical times, Shepherds would anoint sheep with oil on the head and around the ears to protect the area from the infestation of insects (www.gotquestions.org/anointed.html). In the New Testament it is synonymous with the Holy Spirit upon God’s people. Anointing one with oil is a symbol of consecration. By the anointing of the Holy Spirit we are set apart from the world and purified. Our raiment as believers is our robe of righteousness that covers our sin. It is the perfect conduct of Christ covering our imperfect sinful lives. It is given to us by the grace and forgiveness of God. If anyone is wondering what exactly a “Kinsman Redeemer” is, this is my basic understanding of it. The law of Kinsman Redemption dictates that if a relative is sold as a servant to a stranger, the next of kin has a right to buy him back. And so Naomi’s daughter-in-law would be offered to the next of kin. Boaz acknowledges his right of kinship, but points out that there is another man who is closer in relation to Naomi’s family. According to the law, this other relative would have to forego his right to the marriage first, and only then Boaz would be free to marry Ruth. And so by gaining permission to purchase the land, Boaz also purchased the right to marry Ruth. 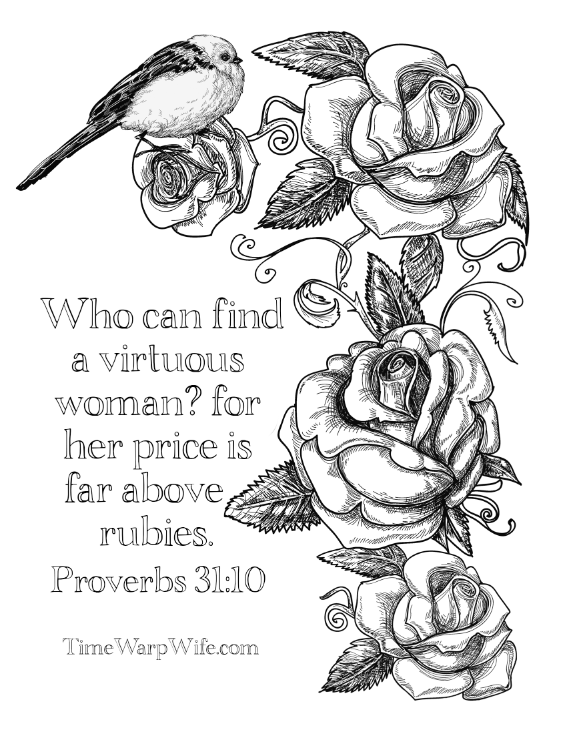 What I found most interesting about the Proverbs 31 woman was how she prioritized her life. She was always thinking of others. She was working for others, she was waking up before the others, and she was clothing others. She was a wise and practical thinker. Verse 26 reads “ She openeth her mouth with wisdom; and in her tongue is the law of kindness.” This leads me to believe that like Esther, she reasoned things out before she spoke or made important decisions. 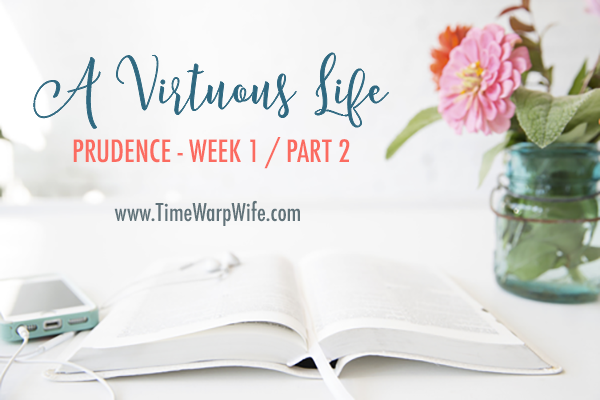 This focus on prudence has taught me to prayerfully and carefully consider my steps. Human nature tells me to rush into things, but God’s Word reminds me to seek after wisdom, to slow down, and to follow His will. Most importantly, this woman respected and honored her Lord. When we truly center our lives around the will of our Lord, we find hope for tomorrow regardless of what today brings. 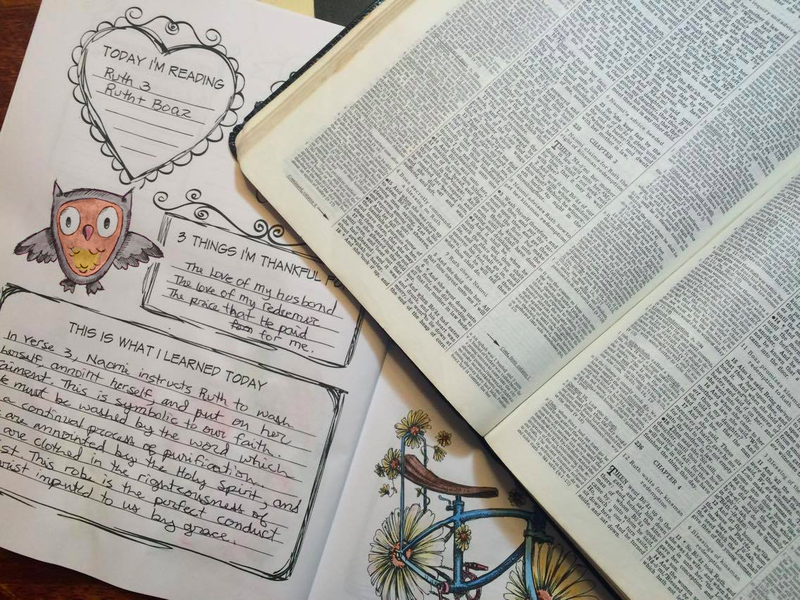 This is my first online Bible study and I have really enjoyed it this week! Thank you for this study and may God continue to bless your ministry, as you are a blessing to so many. Have a great weekend! Thank you for what you are doing with your bible study. It is important that the more mature Christian women counsel and lead the younger and less mature Christian women in the way God wants us to conduct ourselves as women. You are doing an outstanding job of leading us. With that said, I love today’s study prudence. I would like to go a step further and say that if you do not humble yourselves in the Lord, you can not exercise true wisdom, foresight, and practical judgment. It all begins with humbling yourself and releasing everything and turning it all over to God. When this happens, this allows God to come in and make an incredible woman of you and also allows Him to use you to do wonderful things. I always try to remember, first humble yourself and then wonderful wisdom, foresight and practical judgement will be given to you from our awesome Father. You give me something to think about each day and this gives me ambition to strive to become a better Christian woman. Before we can teach others how to be Christians, we first have to lead by example just as Jesus did. May God Bless each and everyone who may read my comment and thank you Darlene for everything you do. Amen!! Sorry it took me so long to moderate the comments. My husband went to the hospital and I got behind on my web stuff. But anyway… thank you for adding that. I love it! This is also my first online Bible study. I have really loved futhering my readings by “digging deeper”. 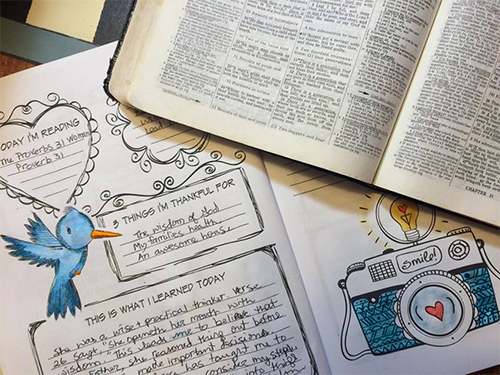 I feel like having somewhat of direction through your Bible study steps has helped me organize my thoughts and focus on what truly matters in the readings. Till next week. Thank you for taking your time to set this up! Woohoo! These comments are exciting! This is also my first online Bible study. I I’m enjoying it. I have realized that with age have gained wisdom into the reading of these verses and the things that I glean from them now compared to when I was younger is different. That’s a good point. I never realized that before, but I do too! Hi Darlene, I so thank God for your heart for our Lord. I love love love your bible studies and your wisdom for us wives who desire to please the Lord but really don’t know how. Thank you!!! Praise God for Gis faithfulness and is long suffering toward me. Love you, friend. Darlene, All I can say is Thank You! This has been a great Bible study so far, and it’s only week one! I am new to reading the Bible and this is a great way to get into the word and understand what God wants us to do. My marriage is suffering terribly right now and I finally feel that there is hope through what God is teaching me right now and putting in my heart. Can’t wait for next week! Aww, I’m glad you are enjoying it Michelle! This is my first time joining an online bible study. I am really enjoying it, and learning ways to study the bible that lets me understand Gods words much better. That’s what I got from it too. I wasn’t even expecting that when I prepared it, but God wanted me to see it. At the bottom of the post, you’ll find a Print button. I hope you can see it. I can’t seem to get a link to print it. 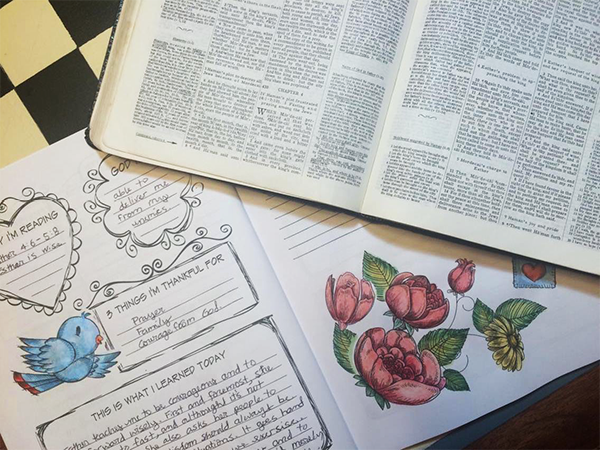 This is the first time I’ve done an online bible study and I have to thank you for all you’ve done to put this together and put out there for women all over! I loved the study last week and hoped it would be ok to add something neat I found in my study bible about Ruth (and Naomi and Boaz). It said that widows were taken advantage of or ignored in the ancient world and were almost always poverty stricken. God’s law, therefore, provided that the nearest relative of the dead husband should care for the widow, but Naomi didn’t have any other relatives in Moab, hence the trip back to Israel. A kinsman-redeemer was a relative who volunteered to take responsibility for the extended family. They could buy them, like you said in the slave example, or marry them in cases of these widows. The nearest relative didn’t have to marry them and the next relative could take his place. It would pass along until someone was willing to take on the responsibility or they would be impoverished. I liked this particular example of kinsmen-redeemer, too, with the bride of Christ example in other parts of Scripture. Thanks so much for this study! Awesome info! Thanks so much for sharing that. Love it! Thank you so much for the Bible study and your web page. I love everything about it. God bless! I am just starting this bible study today. I’m excited. However I’m quite lost right now on the way the first reading is written, Esther 4:6-5:8. This is the first time I ran into a bible reference written like this, so I am confused as to what I need to read! Instead of reading just chapter four, I wanted to also include the first 8 verses in chapter 5. You can start at verse 6 in chapter four and read to the beginning of chapter five. Up to verse 8. On behalf of my Ladies Sunday School Class, I you like to say Thank you for this bible study. We started it this past week and tomorrow will be our conclusion to week 1 and we will begin week 2. Many times there is high cost in the materials so Thank You! As the lead on the study I am looking forward to seeing how God moves in each of us. That’s awesome to hear! I hope you enjoyed it!